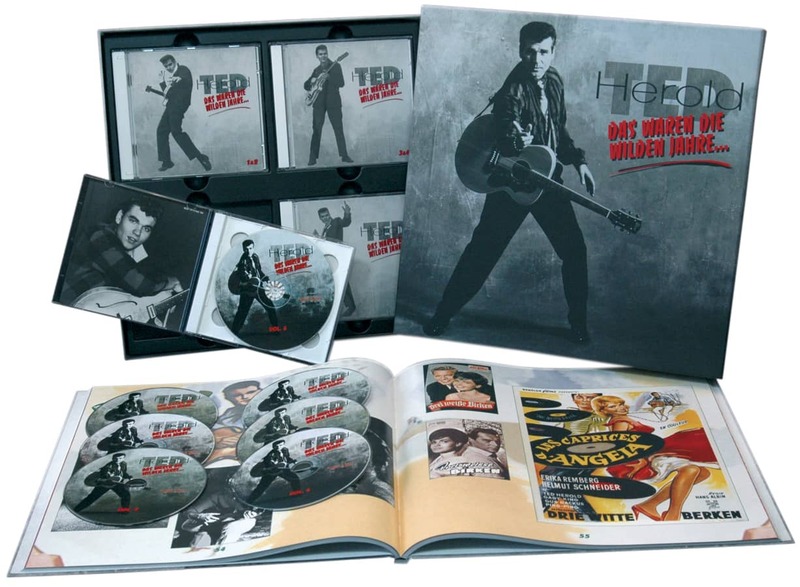 1-CD with 16-page booklet, 22 tracks, playing time 59:27 minutes. 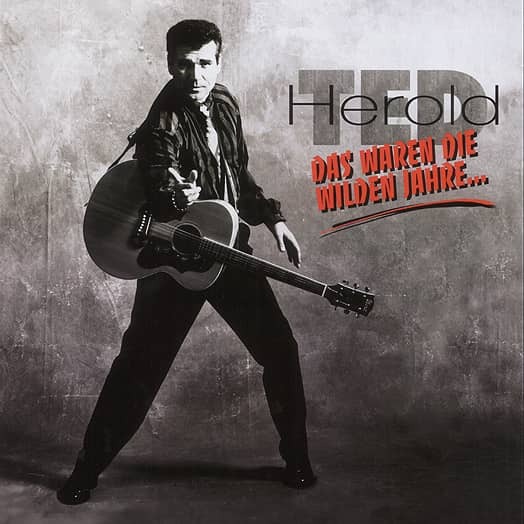 Elvis made in Germany - King of the Berlin Teds - man made chills - Germany's most unusual Ted Herold show man - German Rock 'n' Roll-Idol - Mr. Hip swing - pop singer and star - teen idol - singer in uniform - German Presley imitator - the German Elvis - herald of German rock'n' roll - rock'n' roll star - hip swing specialist - German rock singer and king - record millionaire. 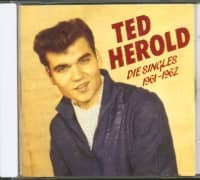 This was a selection of the names Ted Herold was awarded both in the first phase of his career, which lasted from 1958 to 1966 - and which, interestingly enough, were used almost unchanged when he returned to the limelight after more than 10 years of sinking. "There was a time at the very beginning of my career when I was angry about being called Elvis impersonator because I didn't see myself as an impersonator. Through many conversations with my good friend Max Greger, who accompanied my first tours so excellently, and through whom I got to know show business more than through anyone else, I quickly realized that nicknames must be. Later I also said to myself that no imitator could survive for so long. Eventually people realize you have your own style. But surely it was also logical at that time to attach'Elvis' to me, because I moved and gave like him." And it wasn't unjustified: Most of the titles recorded by Ted Herold at the beginning (see discography) were Presley songs. For example, I don't need a ring (recorded on August 20, 1958) whose original Wear My Ring Around Your Neck was listed in the US charts since April 21, 1958, or Wunderbar, wie du heute küut' (November 7, 1958), whose Elvis original I Got Stung was only on the best lists since November 3. There is, like many other songs, proof that the producers Bert Kaempfert (1923-1980) and Gerhard Mendelson (1913-1974) had their ears on the events. "When I started again in the late'70s, and this predicate'Elvis' also appeared, comparing me to the'greatest' of this guild, it was actually flattering." Now such striking trademarks in the show business, just like the noble predicates in jazz (Count, Duke, Earl), are usually imposed on the performer by record or concert managers. 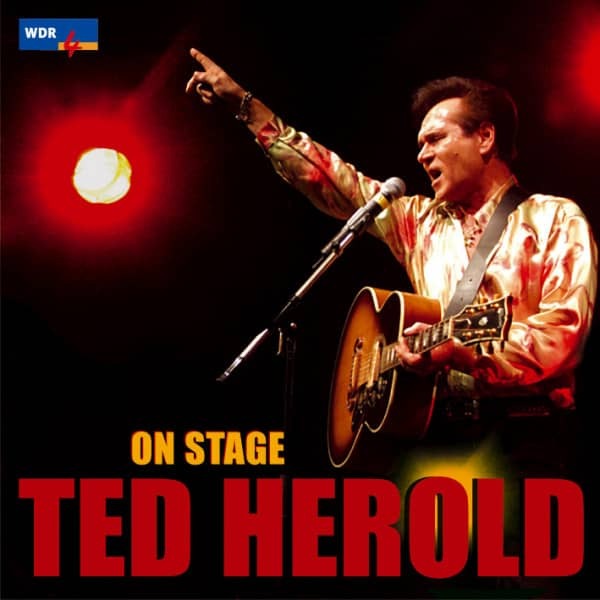 In Ted Herold's case, however, the currently truly upset press, which almost only met the sounds of Elvis & Co. storming into the intact German pop world with aversion, and applied such titles predominantly in a pejorative sense. Which is easily overlooked: Not only in Germany the singer from Memphis, Tennessee was imitated. In France Johnny Hallyday (born 1943), in England Tommy Steele (born 1936) - later Cliff Richard (born 1940) - made it from here erroneously also regarded as originals. ptember 9, 1942. He was the son of a master plasterer who moved with his family to Bad Homburg in Hesse in 1951. The Mittlere Reife - whose degree of difficulty at that time is often compared with today's Abitur - was completed by Harald in April 1959, thus already in rapidly developing fame (musical note: Gut). Elvis Presley, the 1935-born US star, had also driven teenagers crazy in Germany. Since September 1, 1956, his records have appeared on the German single charts (with Heartbreak Hotel at the start) and immediately imitated him: The Austrian Peter Kraus - then 17 years old - was one of the first. He recorded Tutti Frutti with German text on December 2, 1956, a Little Richard piece, with which Elvis had success in Germany only from February of the following year; and the Presley hit Don't Be Cruel (since 1956 a bestseller) became O, as well with Kraus on January 8, 1957. 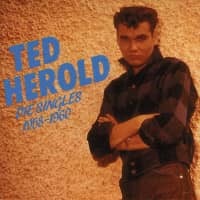 Producer was said Gerhard Mendelson, director of Polydor-Produktion Süd in Vienna, which should be of considerable importance for Ted Herold, because from his second record on the bat boss from Vienna took him under his wing, above all in order to be able to keep the competitor for'his' Peter Kraus - to say the least - under control. Two years in advance Peter Kraus - who only reluctantly accepted the taste of Elvis (see Bear Family BCD 15871 JK) - was ahead of Ted Herold. However, he now got fully involved, as the idol from the USA (then 23 years young) had been the direct impulse for the 14-year-old Harald to indulge in guitar and singing. "In an American cinema in Frankfurt at the end of November I saw twice the film'Love Me Tender' with the funfair scene in which Elvis jumps onto the stage with his guitar and sings'Let Me' and'Poor Boy'. So I went straight to my mother's. Customer evaluation for "On Stage"